Here are some of the Deleted scenes from the Titanic movie. 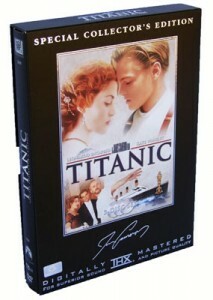 There are 29 deleted scenes, all of which are available in the Titanic collector’s edition. Some of the most famous ones can be found all over, and some must be seen by purchasing the DVD itself. Here are a few of the Titanic deleted scenes that we were able to find and are presented in high quality video. Many of these scenes are minor to the movie as a whole, but fans of the Titanic film will get more insight into James Cameron’s depiction of the event as well as some of the creative parts that were left out. These may have been omitted due to length constraints, or may have simply been scenes that Cameron thought the movie could do without. How ‘Bout a Little Ice?